Great news at the beginning of March! 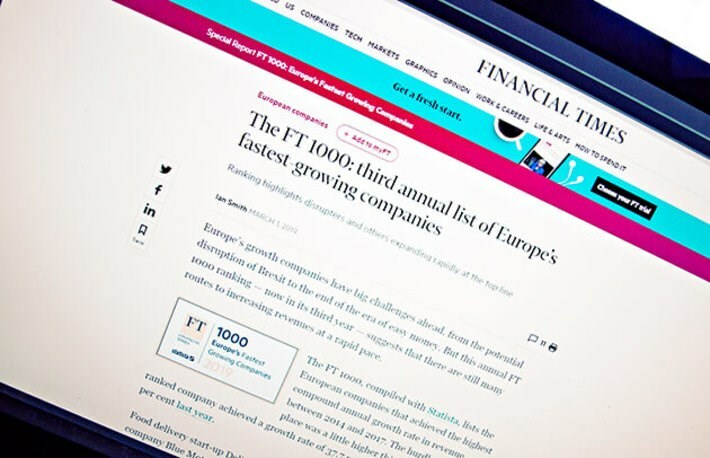 Financial Times & Statista have just published the third annual ranking of the fastest growing companies in Europe. Companies from Germany, France, Italy and United Kingdom are dominating but we are proud to state DONE! Deliveries is also there! We need to thank all our European partners that trust us with their business. We need to thank Kuehne + Nagel, Schenker, Gefco, DHL, Geodis, Rotra and many others. 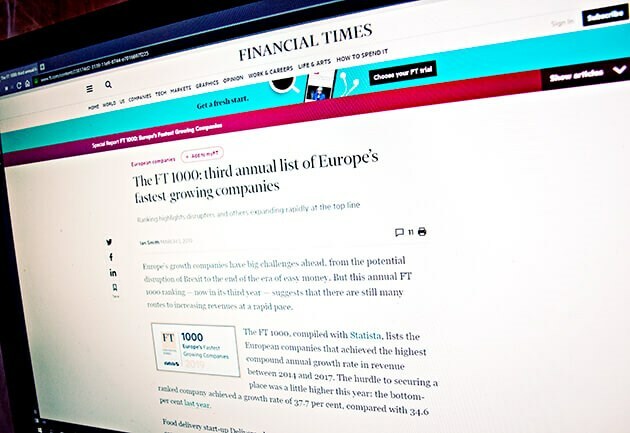 Financial Times – elite British business & financial magazine published globally since 1888. 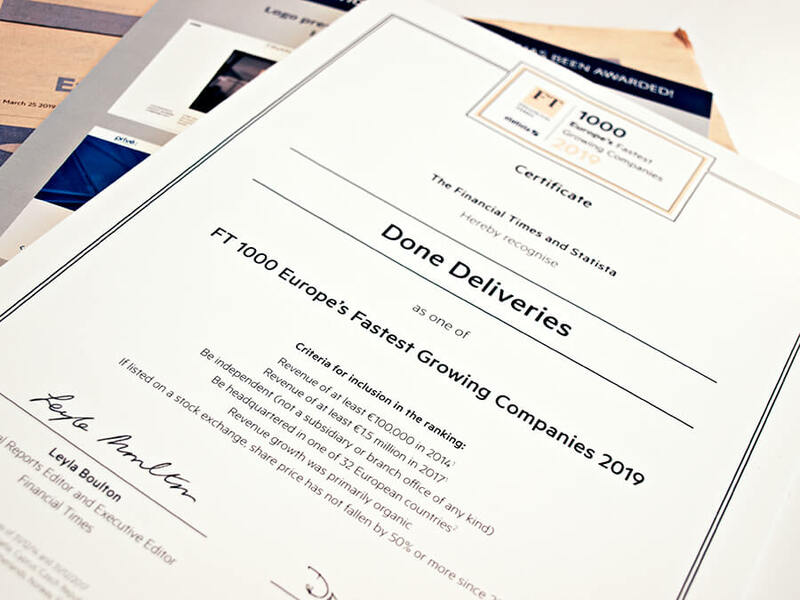 The ranking lists top 1000 European companies with fastest growth between 2014-2017 and DONE! 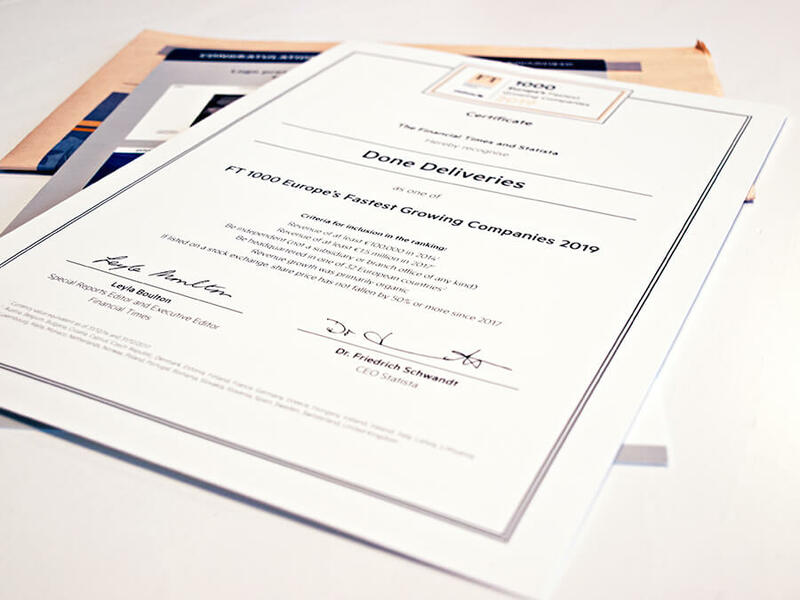 Deliveries grew 271%. 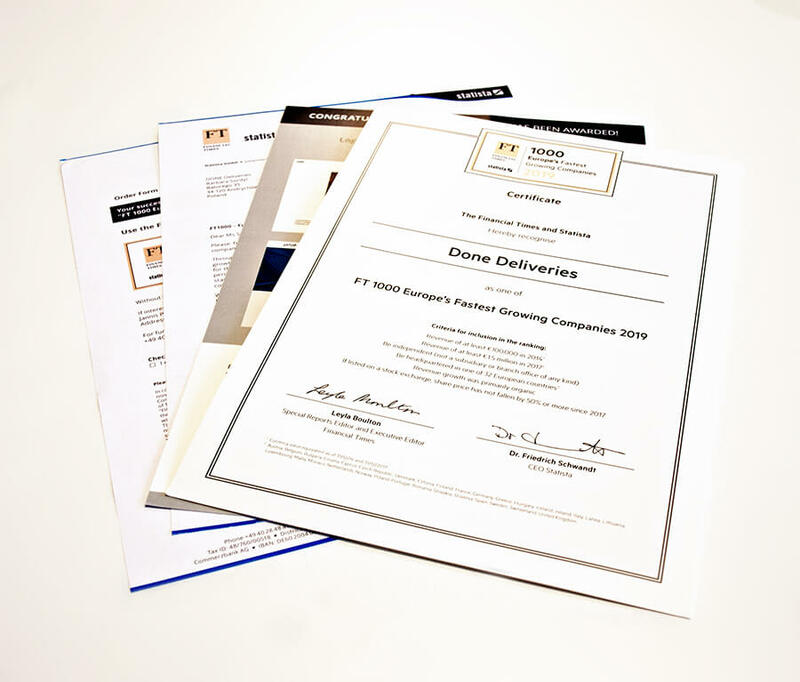 22 polish companies were listed as FT1000 – 10% more than last year. 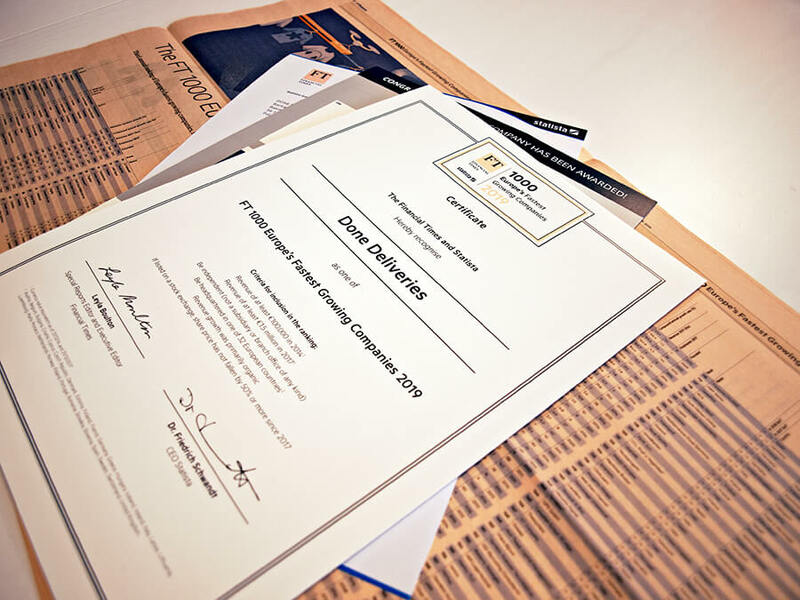 We are glad we are awarded together with polish innovation giants in mostly technology or even aerospace. 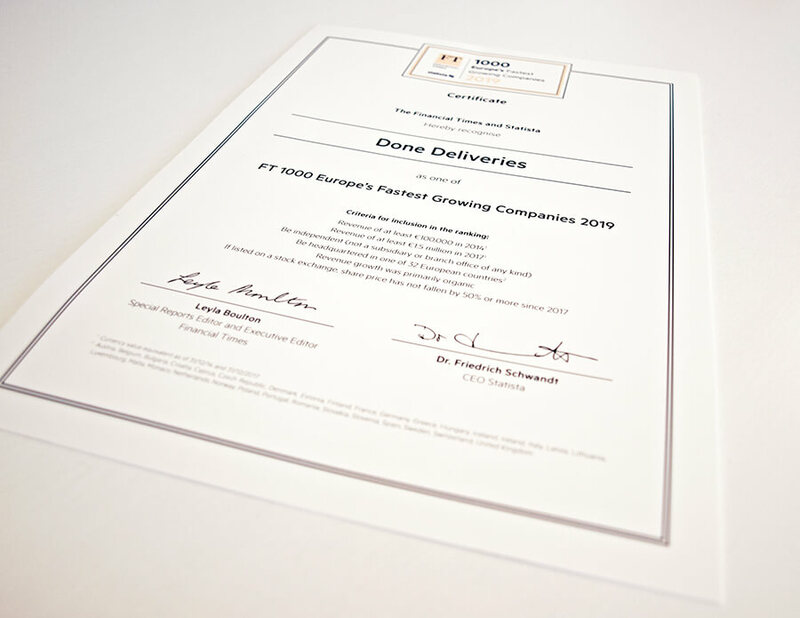 We are very glad we have been recognized as one of FT1000 fastest growing companies.